Accidents happen.....especially during the "potty" training period. (even some do it yourself tips). 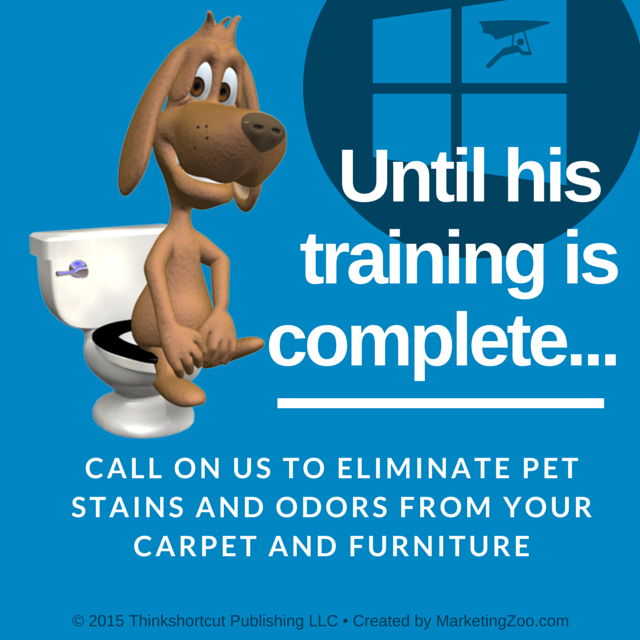 email deltacarpetclean@aol.com with the subject line: pet odor removal. Dry time- it IS important. 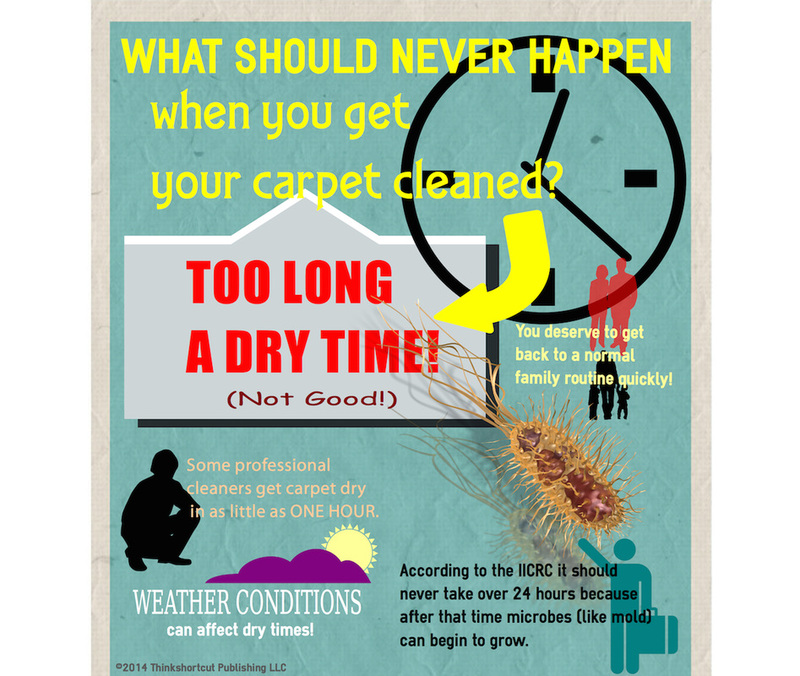 Our preferred system for carpet cleaning in homes dries in 2-4 hours under normal cleaning conditions. It offers a deep thorough cleaning by actually scrubbing and lifting the soil from the carpet before extracting it. Give a call 216-939-8741 or visit our website www.deltacarpetclean.com for more information. 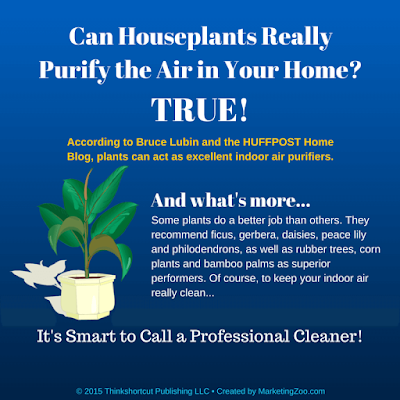 Do houseplants purify the air? Scroll down to see the answer. 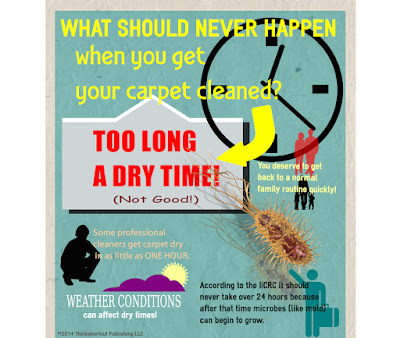 Call Delta Carpet Cleaning to help improve your indoor air quality today - 216-939-8741 option 1. 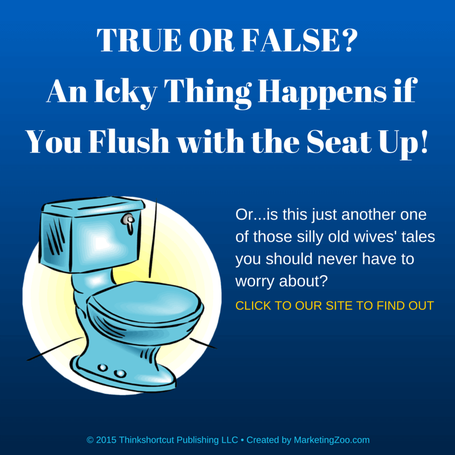 What happens when you flush with the seat up? Besides a rug pad, your area rug needs regular cleaning. Call and schedule your appointment today 216-939-8741. You would be hard pressed not to find this noisy, electrical and often-underused mechanical device in any home, apartment or business. Do yourself a favor. Keep that vacuum cleaner working, use it all the time, but also use your professional carpet cleaning pro. Delta Carpet Cleaning knows what it takes to remove ALL the sticky, greasy soil that your vacuum leaves behind! Does your mattress really double in weight every 10 years? 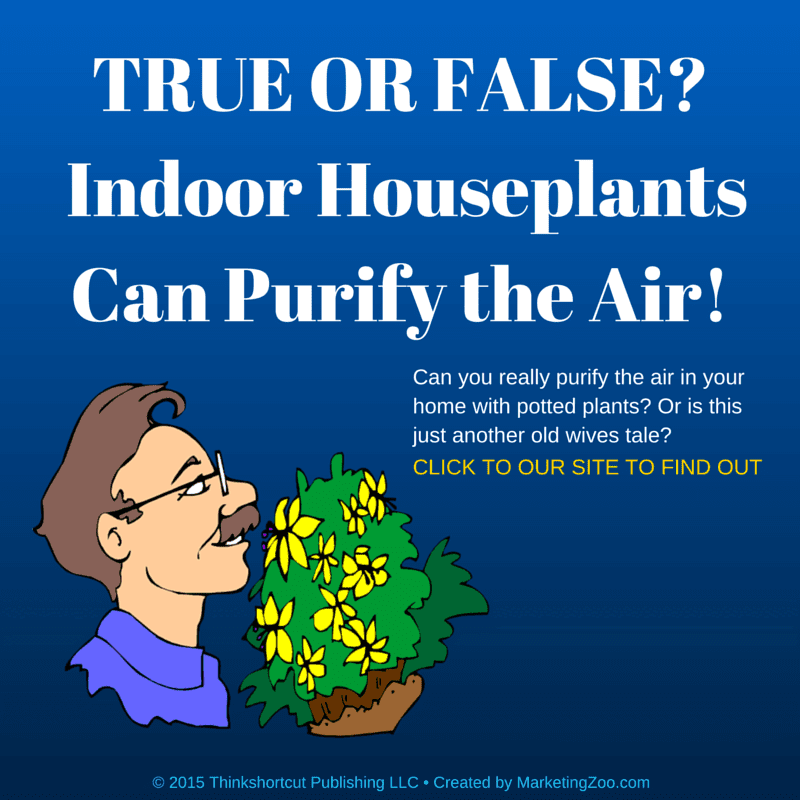 Are you afraid your house smells like a dog? What is the biggest filter in your home? Remember, allergens are very light and float in the air, and are respiratory concerns, especially for allergy and asthma sufferers. Carpet helps to keep those particulates to a minimum by trapping them in the fibers. Those allergens have to be removed before they start to "overflow" out of your carpet and become airborne again. Think about it: you don't let too much time pass before sweeping your non-carpeted flooring. Why? Because as you walk across those floors you stir up the dust and allergens. You get the same result from carpet that hasn't been vacuumed and cleaned regularly. Delta Carpet Cleaning. Call Greg or Michelle today for an appointment 216-939-8741. Making Better Decisions When Buying New Carpet. You are shopping for new carpet, perhaps for just a few rooms. Two of the rooms are bedrooms, which don’t get as much foot traffic as the entryway, living room and hallway you also need to replace. It’s been nearly 10 years since you had new carpet. A year later, when you decide it’s time to have the carpet cleaned, your carpet cleaning pros show up and do a great job removing the dirt. The spots come right out! However, there is a “worn” area in the living room and down the hallway, but not in the bedrooms. You ask your carpet cleaning cleaning technician why that is. He performs a fiber identification test and informs you that you purchased polyester carpet, which tends to mat down and look somewhat soiled just because of wear. He then kindly informs you that if you had purchased nylon, a more durable carpet fiber, this likely wouldn’t have happened. So before you go looking for new carpet or furniture, give your carpet and furniture cleaning pro at Delta Carpet Cleaning a call (216) 939-8741. 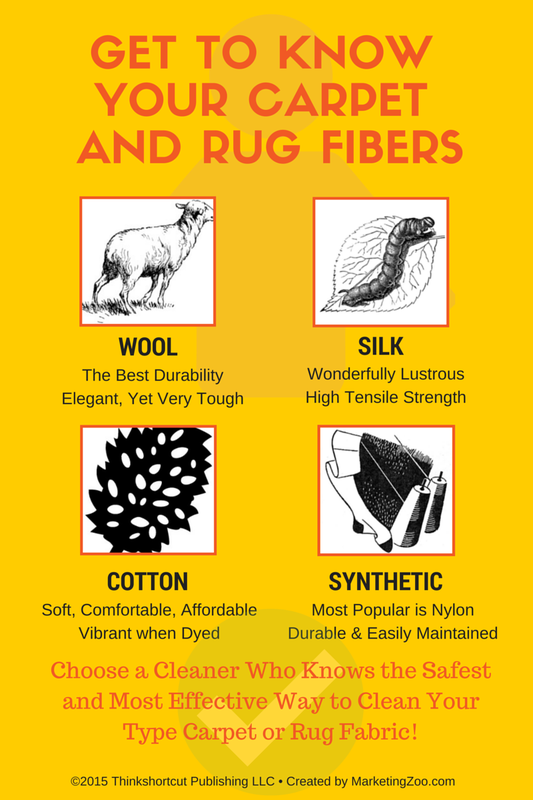 Ask which fiber is best for each application in your home. Yes, polyester may be soft and colorful, but it may be best to keep it in the bedrooms and use durable fibers, like nylon and wool (which is expensive), in the high trafficked areas of your home. 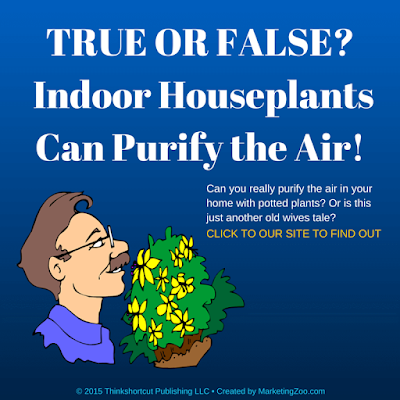 Indoor Air Quality.. Did you know? Delta Carpet Cleaning in Berea, Ohio. We treat your home like it's our own. Delta Carpet Cleaning : Spring Cleanup Time! Most homeowners use the spring season to clean up the house, going through closets and drawers, basements, and even cleaning out the garage. Most schedule in-home necessary services, such as professional carpet cleaning, so don’t forget that Delta Carpet Cleaning is important part of your spring cleaning routine. Don't forget about your blinds. Blinds hold a lot of dust but you don't have to clean them yourself- call our blind cleaning division at 216-939-8741 ext 2. 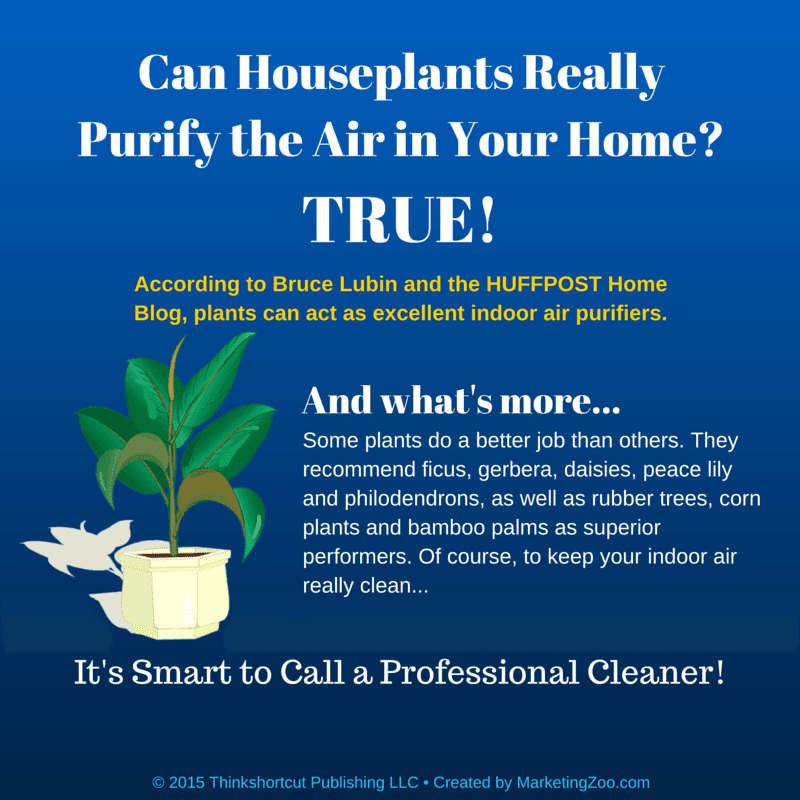 What most don’t think about is spring cleaning on the outside of the home. That’s right. Although most spring cleaning chores are performed inside the home, the outside needs some attention as well. Some outside areas are neglected all winter, obviously, especially for colder climates when everything is covered in ice and snow. Think about the street in front of your home. If you go take a look, you will probably find all kinds of unsightly clutter and debris. Take a tour of your yard. Although you raked up all those leaves from last fall, it’s amazing how they seem to reappear during the winter. (Yes, you can blame your neighbors for that.) On top of that are twigs and branches that the cold winter tossed into your yard. Most likely, you will find a bit of trash taking up residence in the back of your home, where the wind deposited it all. Look closely at the exterior of your home, such as the siding or brick. Chances are, mold or mildew has taken residence along with other soils. A good pressure washing could be part of your spring cleaning campaign. No one wants to wash windows but it’s a necessary task. Don’t do just the inside. Get a stepladder (but keep it safe!) and give those windows a good scrubbing. Your local hardware store no doubt has the professional-type scrubbing tools plus handy squeegees. Don’t want to tackle this task? Hire a window washing pro. It’s spring! Get out there and shine things up. Do you suffer from Asthma? Do you often wake up in the morning with a stuffy nose or allergy symptoms? Your mattress may be to blame! carcasses. Dust mite excrement is said to be a leading cause of asthma symptoms, Rhinitis (stuffy, runny nose) and skin rashes. But there’s more. Your mattress also contains dead skin, sweat and other miscellaneous bodily fluids and if your pet sleeps or plays on your bed then you can add a host of other contaminates. And let’s not forget about the ever growing problem with Bed Bugs. But what can we do about it? Various sources recommend vacuuming your mattress weekly using a vacuum that has a Hepa filter. A hepa filter is important because the feces from dust mites is small enough to pass through a regular vacuum bag. 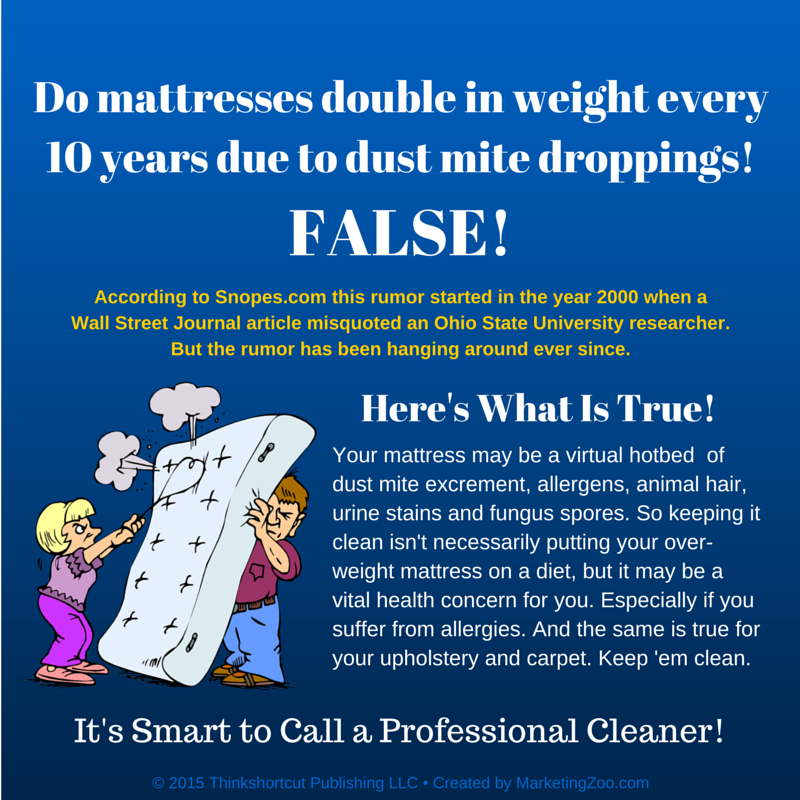 People with allergies or asthma should have their mattresses cleaned every 3-6 months. 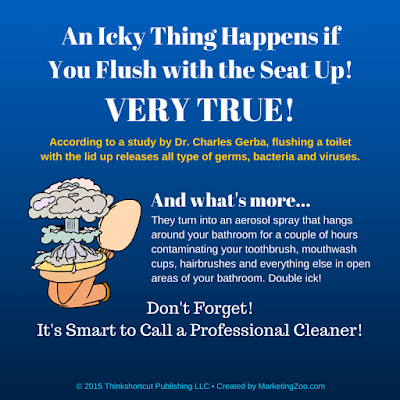 As for the rest of us a yearly cleaning/sanitizing is recommended. Recently Delta Carpet Cleaning purchased a piece of equipment which is ideal for cleaning mattresses. 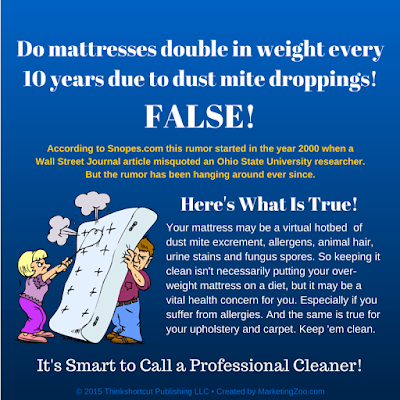 Dust mite debris, dead skin cells and any other loose material that might be on your mattress (i.e. 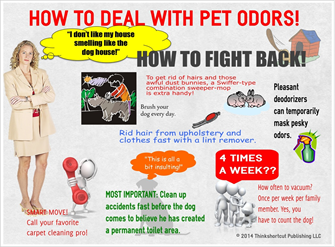 pet dander) goes into a water-filled holding tank & any air that is expelled passes through a HEPA filter vacuum to ensure that none of the debris is released into the room. It also emits 360 degree steam which greatly reduces the dust mite population. Unfortunately it is impossible to kill all of them that is why regular cleaning is necessary. This temperature also effectively kills Bed Bugs. Fabric Protector- How does it work? What you can do is keep things clean. Dust mites reproduce quickly in mattresses, beddings, pillows and other areas because these absorbent items take up moisture, such as saliva, perspiration and blood, from body contact. Dust mites prefer those warm, moist environments created by sleeping bodies. Who Spilled the Grape Juice? DID YOU KNOW that the devastation of spilling something like grape juice, Kool-Aid and other fruit drinks doesn’t have to be that… devastating? It may be appropriate, with some coaching from your carpet cleaning pro, to do some spotting. Use a spotting product, like a mild neutral detergent spotter, recommended by your carpet pro. Apply a small amount to the spot and keep blotting. Never scrub. Scrubbing can damage the carpet fibers and you can’t fix that. Keep blotting. Make that phone call especially for pet “accidents.” Your carpet cleaning pro knows exactly what you need to keep your home spot and stain free! DID YOU KNOW that one of the best ‘feel good’ experiences you can enjoy is having freshly-cleaned carpet or furniture? And one of the most frustrating experiences you won’t enjoy is when, within just a few days, something like red wine, coffee or tea is spilled on that freshly-cleaned carpet or furniture. All of this drama could have been avoided if you had asked for fabric protection when you had your carpet or furniture cleaned. You know, like Scotchgard or Teflon or some of the other products available to consumers. Delta Carpet cleaning uses only genuine Scotchgard. 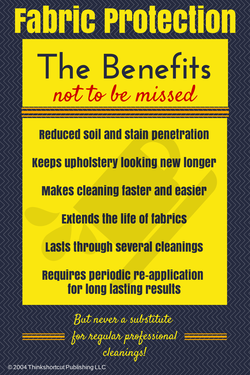 Yes, fabric protection does cost a little bit more but… it’s worth it! Fabric protection is quite a mystery to many, but basically what it does is act as a kind of invisible shield that repels most substances that are spilled. You might compare this to waxing a car. You are providing protection to your paint job by applying an invisible shield, and you know it is working because you can see water beading up on the surface. Carpet and furniture fabrics need the same type of protection. Besides the obvious immediate benefit of cleaning up fresh spills, you can rest assured that a protected carpet or piece of furniture is going to last longer because when something is clean, it performs better and increases the lifetime of the fabric. 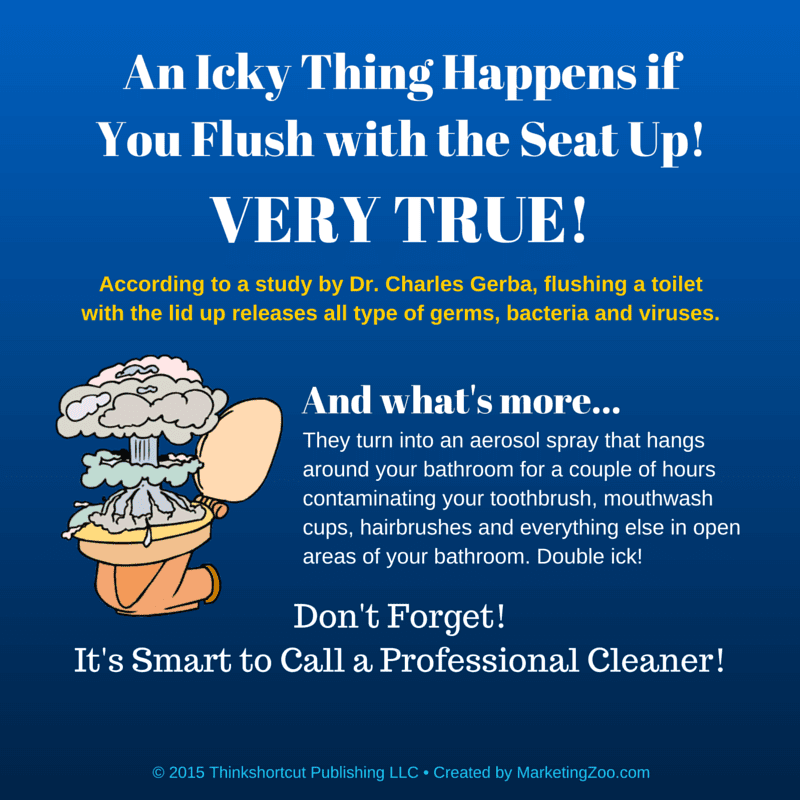 This doesn’t mean you can skip regular cleaning. Anything that is dirty will wear out prematurely. Fabric protection enhances a good cleaning. It’s an added step that you want for your carpet and furniture in your home. So you want peace of mind? The next time you have your carpet or furniture cleaned, ask for protection. You will like it… and so will your carpet and furniture. 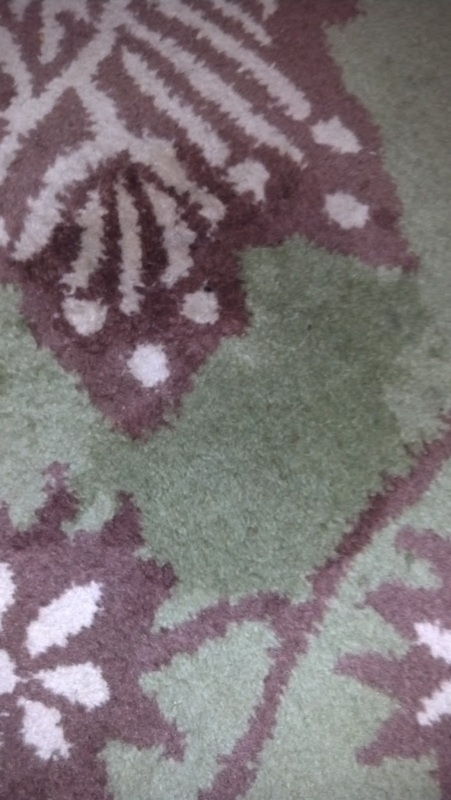 Your valuable area rug is crying out for help!